Special Guest Kevin Lewis is an agent at the Erin Murphy Literary Agency. A twenty year veteran of children’s publishing; Kevin Lewis started his career at well-known, New York City independent bookseller Book of Wonder. From there he moved on to Scholastic Inc. where he assisted on the SeeSaw school book club until landing a position at Scholastic’s Blue Sky Press. At Blue Sky, Kevin edited books by Cynthia Rylant, Mark Teague, Dav Pilkey, and acquired titles from Angela Johnson, Dan Yaccarino, Lynne Plourde and John Schoenherr. 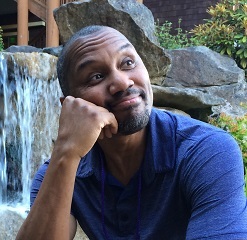 After several years at Blue Sky, Kevin accepted a position at Simon & Schuster where he acquired and edited novels and picture books by Laurie Halse Anderson, Lauren Thompson, Derek Anderson, Cynthia Rylant, Tony DiTerlizzi, Holly Black, Angela Johnson, Loren Long, Jim Benton, and Kadir Nelson, to name but a few. At around the same time Kevin authored his first picture book Chugga Chugga Choo Choo and has since published half a dozen titles with Hyperion and Scholastic/Orchard, including his most recent, Not Inside This House! Kevin has edited numerous best selling titles, including Captain Underpants, The Spiderwick Chronicles, Little Quack, Frannie K. Stein, and Vampira Ballerina as well as award winners like Fever 1793, Chains, Rainbow Boys, The Spider and the Fly Heaven, and The First Part Last. In 2015 Kevin resigned his position as executive editor at Disney/Hyperion to focus more attention on his writing. He lives with his husband and dog in a 200-year-old farm house in the Hudson Valley.